Global Gaming Expo (G2E) Asia 2017 is on track for to set all-time high marks on a variety of metrics. •	An anticipated 70+ companies that will demonstrate innovative online gaming solutions – 45% are new to the event. "Our goal is to create the most comprehensive experience possible with conference and in-show features that complement the expo, which truly serves as the marketplace for the Asian gaming industry," Josephine Lee, chief operating officer of Reed Exhibitions Greater China, said. "With interactive educational and networking opportunities, attendees will receive added benefits and opportunities to learn from colleagues and experts within the fast-growing Asian gaming industry." Key drivers of this projected growth are enhanced conference, robust gaming and integrated resort product offerings and interactive networking opportunities. The Parts & Components Pavilion will highlight the most advanced parts and components in the industry – with participation of 100 R&D engineers, product designers, buyers and technical designers. 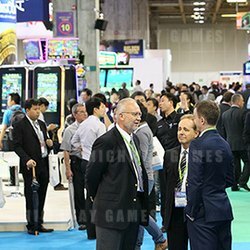 This group of electronic gaming machine manufacturers helps Asian market operators source unique and innovative parts, components and features that will appeal to the Asian casino gaming customer. In response to G2E Asia’s visitor requests for easier ways to find new products, this year’s show will debut Product Hot Hits. The Hot Hits chart is generated by compiling the number of exhibitor products whose QR Codes are scanned by visitors, using the G2E Asia app. The top 10 most-scanned products make the “Product Hot Hits” board. With a glance at the boards dotted around the show floor, visitors will get updates at an instant. A first-time networking event called, “Future Technology Leaders’ Get-Together” will convene over 120 technology executives from integrated resorts, gaming suppliers and government to exchange ideas and discuss the application of innovative solutions for better customer engagement. This program enables gaming regulators to exchange views, share updates and explore opportunities to cooperate in driving the development of Asian gaming. To cap off each day, G2E Asia will host after-hours networking events. Internationally renowned DJs will perform, while attendees socialize and extend their networking opportunities. G2E Asia also welcomes visitors to G2E Asia 2017 Networking Cocktail Hours at the G2E Asia Bar mid-day on the show floor. Above all, after a successful debut in 2016, the Asia Gaming Awards make a return to the G2E Asia program in 2017. Produced by Asia Gaming Brief in association with G2E Asia and The Innovation Group, the awards recognize operators, regulators, suppliers and service providers across 12 fields. The Awards will culminate in a celebratory dinner held at the Parisian, Macao on May 16, 2017.